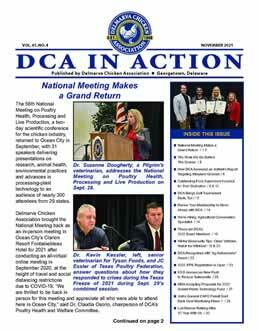 DPI Newsletters | Delmarva Poultry Industry, Inc. Learn about DPI's work on behalf of Delmarva's chicken industry, and see what our advertisers can do for your business. This publication has the chicken grower in mind, sharing new advice, research and management practices to help growers become more profitable. Interested in reaching DPI members and others with your advertising messages? Click here for details.